LONDON, ON, Feb. 9, 2016 /CNW/ - On Saturday, March 5th, thousands of Canadians will participate in Spin4Kids Plus – one of Canada's largest single-day indoor fitness fundraisers. The event benefits GoodLife Kids Foundation with the purpose of giving every Canadian kid the opportunity to live a fit and healthy good life. This year marks the fifth anniversary of the national fundraiser. Event organizers have set the goal of raising $1 Million at the one-day event, fuelled by the chance to change the lives of Canadian children. "The latest research shows that only 9% of kids ages 5-17 are getting the recommended 60 minutes of heart-pumping physical activity per day. At GoodLife Kids Foundation, we recognize that when you're active at a young age, it sets the groundwork for a healthy lifestyle," says Lisa Burrows, Executive Director of the GoodLife Kids Foundation. "Helping all Canadians live healthy lives is something GoodLife members and employees are passionate about. Our Spin4Kids Plus fundraiser harnesses that passion to present an exceptional nationwide event to help get kids active." GoodLife members, employees, partners and friends from over 200 clubs will rally in teams of up to eight at more than 65 locations in a joint effort to support the event. Activities will include indoor cycling along with other one-hour group fitness classes such as BODYPUMP™, BODYATTACK™, BODYFLOW™ and Zumba®, giving participants the chance to spin, groove, and move. Spin4Kids Plus is not your typical day at the gym, boasting a party atmosphere, special guests, silent auction items, decorations and costumes. "Spin4Kids Plus is one of my favourite times of the year," exclaims GoodLife Fitness Chief Operating Officer and Spin4Kids Plus Champion, Jane Riddell. "The event has truly become a staple on GoodLife's annual calendar. It is a chance for us to come together and give back beyond the walls of our clubs, helping kids in communities across Canada to have the chance to get active and live healthier lives." 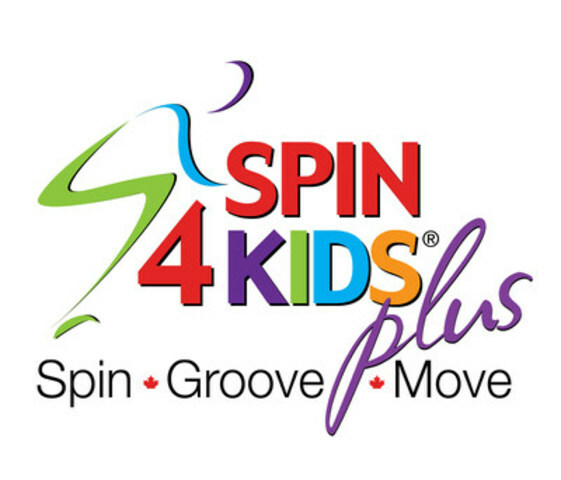 Funds raised through Spin4Kids Plus will go toward two key initiatives: the GoodLife4Kids School Program and the GoodLife Kids Foundation Grant Program. To-date GoodLife Kids Foundation has helped over 235,000 Canadian children live more active, healthier and happier lives. Currently, the Foundation's Grant Program is focused on providing ongoing physical activity opportunities for children with special needs. Following a successful pilot phase, the GoodLife4Kids School Program officially launched in September 2015 and is operating in 75 schools with continued growth on the horizon. The GoodLife4Kids School Program aims to inspire a lifelong-love of physical fitness among grade four students. The School Program is a partnership program with local schools where GoodLife4Kids Coaches help students learn early fitness skills. This program is offered at no cost to schools over the two-year partnership. Help give more Canadian kids the opportunity to live a fit and healthy good life by visiting www.spin4kids.com. Register to participate, donate to an existing team, or learn more today! Interview and photo opportunities are available pre-event, day-of event, and post-event. Consult www.spin4kids.com for a full event listing. After a national submission process, GoodLife Kids Foundation has selected 10 finalist organizations from across Canada to receive grants toward physical activity programming for kids through the Win 4 Kids contest. The number of votes received will determine how much funding will be allocated to each finalist. A national grand prize of $25,000 will be awarded to the organization with this highest number of votes. Three finalists will receive $12,000, three will receive $8,000 and the remaining three will receive $5,000. For more information, visit www.win4kids.com. GoodLife Kids Foundation is a private foundation with a vision for every Canadian kid to have the opportunity to live a fit and healthy good life. To-date, GoodLife Kids Foundation has impacted over 235,000 Canadian children through physical activity opportunities supported by the GoodLife4Kids School Program, Grant Program and Win4Kids contest. To learn more about GoodLife Kids Foundation's programs, go to goodlifekids.com.